Company of Pittsburgh | Intimate musical theatre co.
"Everyone is loving the site! I can't help but smile every time I go there." "What a marvelous piece of work. Ruth is a very talented designer. i love it." "I told everyone I know, Ruth did a bang-up, awesome job with the site! Incredible work." "Ruth is a fierce talent! Nobody else could have captured the heartbeat of Miss Melodee the way that she has! I was so overwhelmed the first time I saw the site, I bawled!" "I just have to tell you what a treat it was to click on your singing examples on your new website. Very fun, you sound great and your concept for the website totally supports your motto. Brava!" "Ruth Gamble truly exceeded my expectations in every way. She always made time for me (juggling her west coast vs. my east coast time schedule) and was patient enough to roll with each change I suggested. Since my official 'launch,' I have gotten fantastic reviews of my site, even from the most tech-savvy among us! I even had an offer to act in a play on the very first day my newsletter went out. 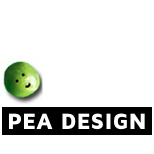 That alone makes going with Pea worth every penny!"